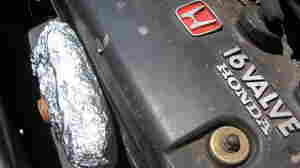 August 7, 2016  Intake manifold stew and "carbecue." These are a few of the ideas traveling musicians have come up with to keep them going on tour. Now, they're offering advice for a summer trip on a budget. 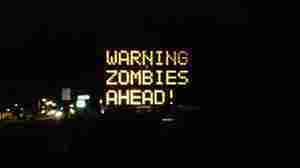 October 11, 2012  A hacker in Maine altered an electric construction sign to warn motorists about zombies. Maybe he's excited about several upcoming zombie events. 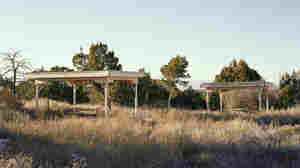 March 9, 2011  Photographer Lizzy Oppenheimer has misty watercolor memories of ... rest stops. And wants to photograph each one in America. January 5, 2009  We are excited to annouce the re-release of NPR's Station Finder Map, complete with the Road Trip functionality.